Like any other year this week the Westergasterrein is (more or less) our temporary office. Yet this time around we’re based here for something other than Amsterdam Fashion Week. It’s M-ODE and it’s first edition of We Make M-ODE (part of We Make the City) that has us and other fashion professionals and fanatics gathered at the Westergasfabriek the upcoming days. M-ODE is a completely new fashion initiative by fashion teacher Peter Leferink (48) and former Amsterdam Fashion Week director Iris Ruisch (43). It is a foundation which focuses on sustainability and therefore each and every fashion show, presentation or event this week is sustainable in a way. Whether it is a designer who chooses not to produce new collections every other season, a design collective producing eco-fabrics or someone like Bas Kosters who produces his new collection out of old (not sold Kingsday) clothes. A fashion event with a 5 day programme like M-ODE turned out to be wasn’t even what Iris and Peter had in mind when they first decided to join forces. But as they spoke to the first designers interested (a few of whom were planning on showing during Amsterdam Fashion Week in January anyway) more people become enthusiastic and new ideas kept coming. And so for four months straight it was like a M-ODE roller coaster for Iris and Peter. Apart from fashion shows at the Westergasfabriek – with Bas Kosters’ show on Saturday evening being the biggest spectacle – there are lots of sustainable activities organized. Like workshops, a clothing exchange market, readings and a sustainable fashion route leading consumers to workspaces and (pop-up) shops. Not just the Westergasfabriek, but VondelCS and het Bos en Lommerplein have their own activities organized as well. If you’d look at the schedule you’d hardly believe that M-ODE didn’t even start as an event hosting initiative. 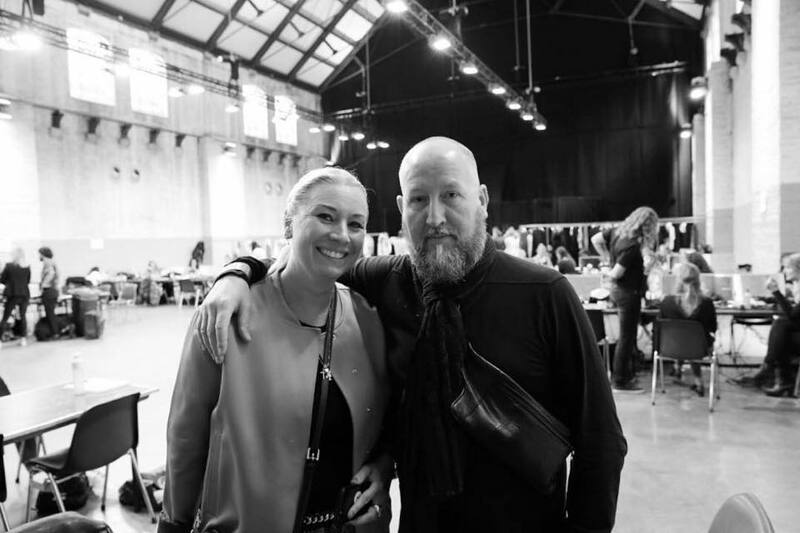 Supporting/coaching young fashion entrepreneurs for at least one and a maximum of three years, teaching them about the right balance between creativity, finance and the importance of collaborating, that is what Iris and Peter had in mind in the first place. A wonderful initiative that is off to a good start with a great first week filled with events . Stay tuned for more M-ODE updates on our Instagram, Facebook and blog.